I’ve been in this weird style mood lately. I think it’s with my craving for a new season but the weather not moving- I turn to accessories to refresh my style. 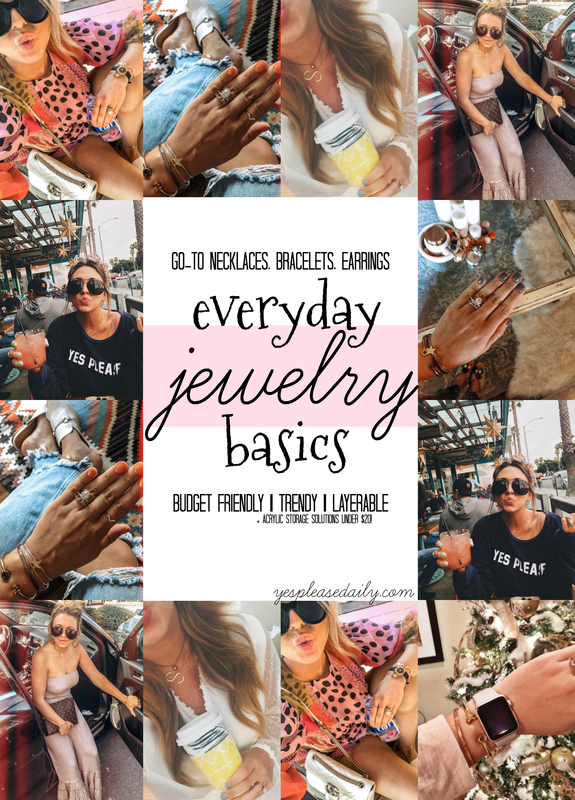 One thing is staying constant though, my go-to everyday jewelry basics. I have about 7 pieces of jewelry (bracelets, rings, necklaces) that I rotate daily. Having a few staple pieces really elevate even the simplest of outfits. 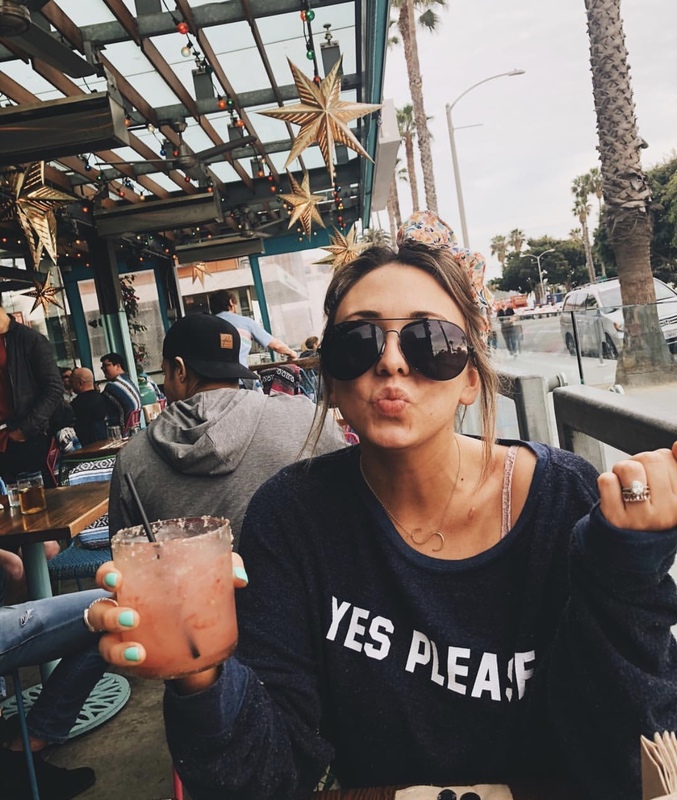 Most pieces are budget finds and a few are splurges that I know I will wear year after year.. check out my faves below! I love dainty necklaces that can be worn alone or layered for an eclectic look, heres my favorites. Just like necklaces, I like dainty, stackable pieces. I also purchased this leather wrap for when I’m wearing my Apple Watch with non-workout clothes and I always get SO many compliments. My bracelets each have a special meaning behind them- my star bracelet is a BFF bracelet with my Melmama, my coordinate bracelet was a wedding present from RJ (he also gave my mom and stepmom matching ones) it has the location of our venue, my XO bracelet was a gift from a sweet blogger friend. Bracelets are the perfect gift because they always serve as sweet reminders. I’m a hoop girl through and through, always have been! I love them and think they are perfect for so many outfits. Below are my tried and true hoops. The tortoise ones sold out so fast but are luckily back in stock, snag them while you can! I really wear the same rings over and over but I do love this ankle bracelet set. 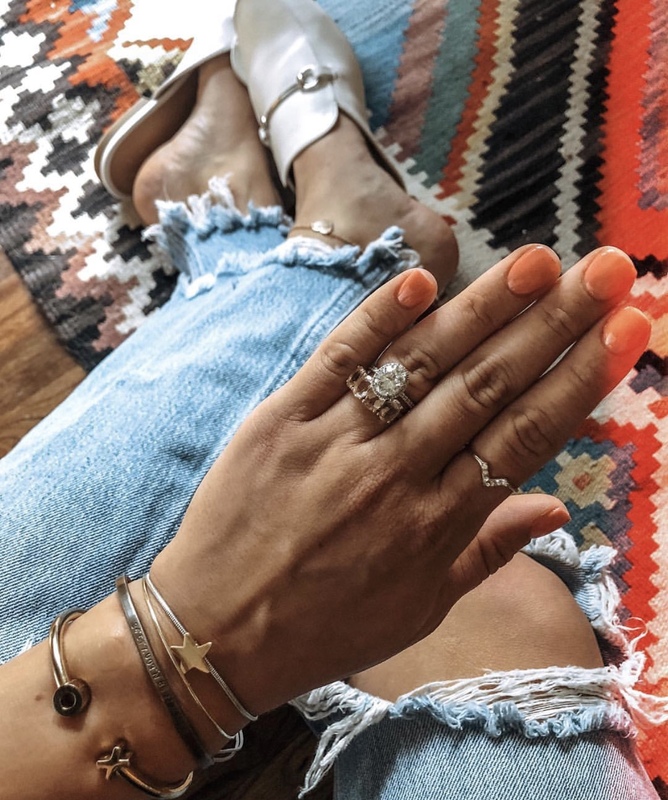 What are your favorite jewelry pieces? I love finding new gems to add to my rotation. Check out more ways to wear these pieces jin the STYLE section of Yes, Please. Previous Post Home Organization Hacks Under $60!